Condominiums offer a luxurious living along with a friendly community, great service and amenities. However, one of the most important aspect of finding best condominium is the location. Location is probably one of the most important factor to be considered when buying real estate. Residential areas could be very different – some condos are located in tourist attraction areas, while others are located throughout the metropolitan areas, and only the most exclusive one’s are located directly on the beach. People, who intend to purchase units in the luxury condos, often look for certain exceptional features and amenities which can ensure a highly comfortable and easy living. Jade Ocean condominium is one of those condos that offers direct oceanfront location, top of the line amenities and an award winning service. 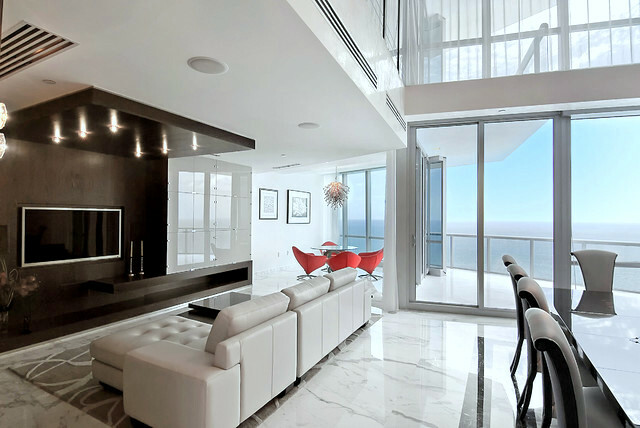 Located on Collins Ave in one of the most stunning city’s in Miami – Sunny Isles Beach. Although it’s a residential area, it is also popular among many tourists who visit this place from all over the world to get a glimpse of the glamorous beach life in Miami. This location offers shopping centers, business centers, night clubs, restaurants, and everything else major cultural city offers. However, the most striking feature of Jade Ocean is its appearance. This grand edifice is designed by the well-known architect Carlos Ott. This 54 storey building has a stunning all-glass structure, which would immensely impress anybody who would look at it. The price of this property has been increasing from year to year. To know more about the Jade Ocean condo for sale, you can visit the detailed website dedicated just to this building – www.jadeoceansunnyisles.com. Please go through all the details, statistics, reviews, suggestions that are present there and take the decision accordingly. After considering all the features, location and outstanding services in Jade Ocean, every person would agree that Jade Ocean is the embodiment of uniqueness, comfort, and luxury.